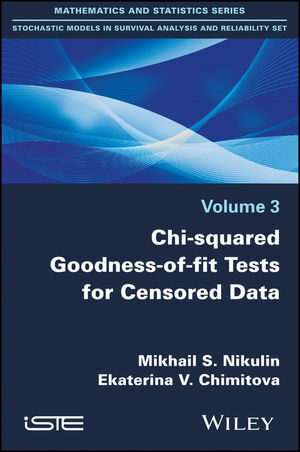 This book is devoted to the problems of construction and application of chi-squared goodness-of-fit tests for complete and censored data. Classical chi-squared tests assume that unknown distribution parameters are estimated using grouped data, but in practice this assumption is often forgotten. In this book, we consider modified chi-squared tests, which do not suffer from such a drawback. The authors provide examples of chi-squared tests for various distributions widely used in practice, and also consider chi-squared tests for the parametric proportional hazards model and accelerated failure time model, which are widely used in reliability and survival analysis. Particular attention is paid to the choice of grouping intervals and simulations. This book covers recent innovations in the field as well as important results previously only published in Russian. Chi-squared tests are compared with other goodness-of-fit tests (such as the Cramer-von Mises-Smirnov, Anderson-Darling and Zhang tests) in terms of power when testing close competing hypotheses. Mikhail S. Nikulin, University Victor Segalen, France.